My kids love art. They love crafts. Every week we are making something in our home. You name it. We have it and use it. I was blessed to receive a huge box of goodies from Crayola. I plan to give them all to my kids as Christmas Gifts. Telescoping Crayon Tower: This has 150 crayons. Every color you could ever want. For everyday inspiration and creativity, be sure to keep Crayola’s Telescoping Crayon Tower and all-inclusive Ultimate Art Supplies case handy, so they’re can always be prepared to create! Filled with crayons and all of the classic art tools for drawing and painting, kids can share their creativity through colorful works of art! The Telescoping Crayon Tower and Ultimate Art Supplies case make great gifts every child can use to jumpstart their creativity. Recommended for children 4+, the Ultimate Art Supply Kit contains 24 crayons, 8 washable broad line markers, 12 colored pencils, 8 washable watercolors, 1 paint brush, school glue, scissors, and colored paper and retails for $16.99. The Crayon Tower retails for $17.99. Let your kids’ imaginations run free this holiday season while creating glowing, moving art with the Crayola Glow Book. Turn the lights out and watch their artwork come alive on each page and appear as if it is actually moving! Using special glowing-ink markers to draw on each of the four clear pages, kids can choose one of the four tracing guides to create original scenes, signs and messages, and arrange them in their desired order. Then, just hit the lights and allow your kids to wow you with wildly colorful, glowing animated scenes. Variable light settings create colorful, multi-layered effects. The Crayola Glow Book wipes off easily so kids can use their imaginations to create endless glowing artwork! A simple wet cloth will do. With the new Crayola Jewelry Boutique, kids can become their own jewelry designers! Crayola put a unique “spin” on jewelry making with a special “jewelry spinner” that creates multi-colored beads using Crayola Model Magic. As kids spin their beads into shapes, they can string them together to create original bracelets, necklaces, earrings, and pendants that reflect their own personal style. Let the designing begin! By combining eye-popping colors to create unique beads with the Jewelry Boutique “spinner,” the amount of fun and creativity is endless because no two beads turn out exactly the same! For a dazzling finish, coat designs with bead glaze. For even more sparkle and pizzazz, add gems, and interchangeable pendant and bracelet charms! You can see the Crayola Holiday Gift Guide Website. Help keep your kids occupied and learning with Crayola buy entering to win your very own set like I received. Yep, you got it. Crayola and MyBlogSpark are offering one of my readers these four great products. Over $85 worth of gifts you can either keep or give away. The first two ways to enter are mandatory. The rest are ways you can earn extra entries. I will be ending this in one week so you will hopefully have this in time for Christmas gift giving. 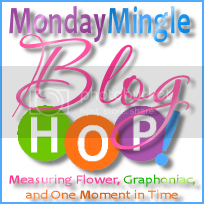 This giveaway is possible because of MyBlogSpark and Crayola. I was given this package in exchange for my honest opinion in this review. No other compensation was given. Curly would love jewelry boutique. My favorite color of crayon is yellow. My budding artist would enjoy it all, but the Crayon Tower would be lots of fun. Games and art combined! Dexter would Love the Glow Book! My favorite is purple. Youngest son is either blue or green. LOVE that jewelry boutique. my very crafty daughter would be all over that! The ultimate art supplies. My 6 yo loves making crafts and goes through supplies faster than I can buy them. Brown is my favorite color. My artsy daughter would LOVE the crayon tower and the art case. She goes through reams of paper and tons of crayons! So hard to decide my kids are so artsy they would love them all! My younger daughter is very girly and she would love the jewelry making kit, she loves jewelry. My oldest daughter would love either the crayon tower or the glow book because she already has a bigger version of the art set that she loves. My son is jealous because both the girls have sets like that and he doesn't. Lol. The Jewelry Boutique would be a big hit. Glow book for sure with my boys. I think the jewelry would be fun for my daughter, because she is a girly girl. My favorite color of crayon is dandelion. So many of these would be fun. I might choose the crayon tower. Periwinkle is a close second to sky blue. I would love the Ultimate Art Supplies. A child would have so much fun with that kit. I would give the jewelry kit to my daughter. It would be a fun way to do OT. The jewelry would be fun for my 10 yo daughter. My daughter would love the jewelry boutique. Well we'd like them all but my daughter's would love the jewelry boutique because they like to design their own fashions and my other likes to be a princess. My favorite color is any shade of blue!!! I would love to give the jewelry set to my daughters. Honestly, how do you go wrong with Crayola?? The jewlery kit looks nice and the marker sets would be utilized greatly around here! Thank you for the giveaway. A great review and a fabulous giveaway! There's something here for everyone! Stopping by from the crew and so grateful for this opportunity. Thank you. I have seven children still living at home and I also have seven grandchildren; so, the opportunity to share any of these wonderful, creativity-inspiring gifts with any of my little loves, would be a delight! Any and every GREEN, is my favorite color. My kissos would love the tower and the jewelry who could decide! GREEN! Especially Lime green..or as my 6 yr old says "slime green"
Mykids are inspired by art and makin gifts for people. The jewelry maker would be the perfect gift for a young girl in my church! I love the silver crayon. I don't know the exact "special name" for it, but I like to use it for accents when I draw. I think my boys would love the Glow Box---what a great way to bring even more "action" to their drawings! my oldest daughter would love the tower since she just loves using multiple colors right now! My eldest would LOVE the jewelry maker and she's always looking for something to create earrings or necklaces with. My younger daughter would also LOVE this - I'm just not sure what would be her favorite? Maybe the glow book or the art supplies since she doesn't have her own yet. My dd would love the crayon tower. my favorite color is a regular old red.